Have you been looking for a great AV receiver that will add to the entertainment system in your house? If yes, then you will get a lot of useful information from this particular article on Sony STR-DH740, 7.2 channel 4K AV receiver. This receiver is full of amazing features that will give the ultimate audio and video experience. And since it is from the house of Sony there has been no compromise on the quality. 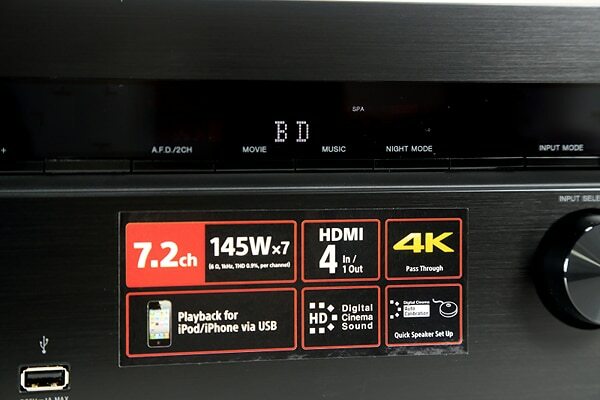 A great AV receiver should have amazing pass through, Dolby digital sound, high definition pictures, playback etc. This receiver promises all these and a lot more. What are the features of this AV receiver from Sony? The receiver looks very sleek and stylish which will easily fit the décor of your home entertainment section. The product is black in color and weights around 17 pounds. The size of the receiver is about 13x17x6.3 inch. Sony STR-DH740 AV receiver has technologically advanced features that make it extremely popular among its buyers. Here is a look at some of the popular features of this receiver that customers are taking about. • The young users of the product are talking about the 3D pass-through. This will transform your regular home entertainment system into a 3D entertainment system. You will be able to connect the PS3 system, the 3D Blu-Ray player, satellite receiver, cable box etc. Moreover, if you have compatible 2D devices, that could also be connected to the receiver. • With a great AV receiver you will want to have exceptional playback facility for both your music and videos. Sony provides you with that facility with their STR-DH740 receiver. You will be able to connect your iPod or your iPhone and watch or listen to the music and videos stored there. And the best part is that you get to listen to your favorite music while your iPod/iPhone gets charged. • The amazing technical feature of 4K pass-through is also very popular among the users of this product. With the help of this feature you will be able to pass through video content to a projector or a 4K television. Apart from entertainment this also helps in your work. You could have video presentations and important conferences at home or work with the help of the 4K pass-through. • Now you could have the effect of a 3D movie theater at your home! The 3D pass through will get you the effects of a 3D theatre while the Digital HD cinema sound will enable you to get the required sound effect. This feature makes Sony STR-DH740 an ideal system for movie buffs. And just the perfect device for a Friday scary movie night! 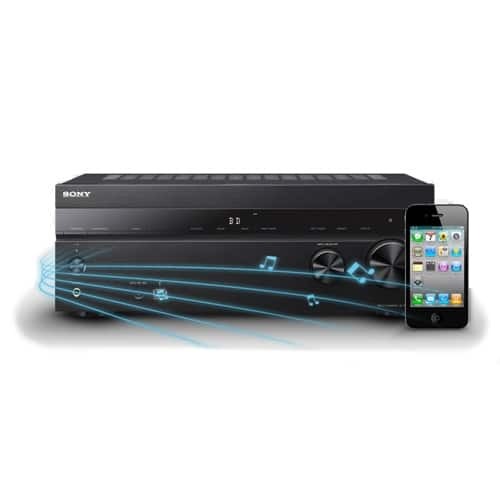 • This Sony receiver is featured with the most advanced audio decoding system. This will enable you to hear the music and audio just the way they were recorded. There is no distortion or audio pollution. 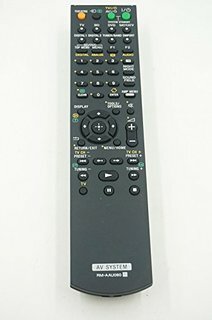 What are the additional features of this receiver? Even after listing out some of the popular and most talked about features of the Sony 7.2 receiver there are many more that are left behind. In fact the product is so loaded with features that it is difficult to cover them all in a review. Here is a look at a few more of the technical and physical features. • Return channel audio system – no need to go through the trouble of getting extra cable for data transmission between your TV and the receiver. With the audio return channel you will be able to use the same HDMI cable that you were using to transmit video and audio to your TV. • Stand by pass through – use your HDMI connected devices without powering on the Sony STR-DH740 receiver. • Bravia sync capable – now you could use a single remote to operate various Sony functions like Blu-ray players, home theatre systems etc. • Graphical on-screen user interface – use the graphical on-screen user interface to control the AV receiver. Probably the most amazing feature of this stunning receiver by Sony id its price. Considering the various features that it is offering, the product has been very economically priced. The list price of the product is only $299.99. If you are shopping online then you could expect a good discount on the list price as well. What is the customer review of the product? A great AV receiver will change the face of your home entertainment system. Customers who have brought this product feel that it is extremely powerful and has amazing features. What makes Sony STR-DH740 better than its competitors is the highly affordable price and the brand name of Sony.